Halifax could be the latest Canadian city with a grocery store dedicated to people living a “zero waste” lifestyle. The Tare Shop, which is expected to open in the fall, will encourage customers to bring their own reusable containers and jars. Employees will weigh the containers, customers will fill them with bulk items, and then containers will be weighed again at the cash register to determine the bill. Kate Peppler told CTV Atlantic that the store will help consumers cut down on packaging, which accounts for 40 per cent of waste, according to the Recycling Council of British Columbia. One of the biggest problems is plastic, which is increasingly ending up in the world’s oceans and endangering marine life, Peppler says. “We as a society are so addicted to plastic and it’s used everywhere,” Peppler says. “People grab those plastic film bags to put bananas in, lettuce is wrapped in plastic, celery, carrots ... frozen pizza ... everything you get (is) in plastic,” she says. Peppler said that that if someone had asked her two or three years ago if she would now be living a zero-waste lifestyle, she “would have said no way,” but she gradually figured out how to do it. “I started making small changes,” she said. Those included things like cutting out disposable water bottle and single-use coffee cups. She’s since begun ordering drinks without plastic straws, using shampoo bars instead of liquid shampoo from plastic bottles, and bamboo toothbrushes. It hasn’t always been easy to find the products she needs. “When Bulk Barn started doing its reusable container program, that was huge as it helped me to be able to get stuff package free,” she said. Peppler’s store could make it even easier. And it wouldn’t be the first in Canada. Vancouver’s Soap Dispensary + Kitchen Staples has been operating since 2011 and now offers more than 700 products, including olive oil and soy sauce on tap. Mega Vrac Epicerie in Montreal offers a similar number of products, including detergents in jugs and maple syrup on tap. Last summer, Ottawa got what may be Ontario’s first zero-waste grocery store. Nu Grocery sells more than 500 products including cleaners and beauty products. 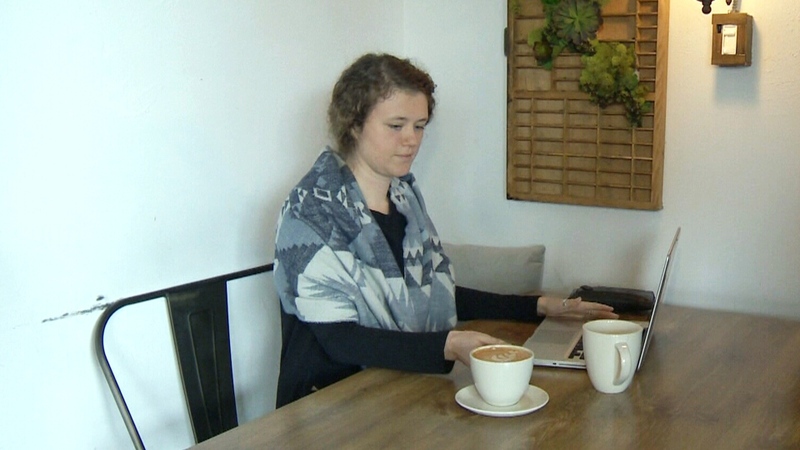 Anna Weinstein, communications specialist with Halifax’s Clean Foundation, told CTV Atlantic that people who are interested in a zero-waste lifestyle can start by cutting out bottled water and disposable coffee cups. “The zero waste lifestyle can be really intimidating for people,” Weinstein said. Anna Weinstein (centre) works for the Clean Foundation in Halifax, N.S. Kate Peppler is working to a bring a zero-waste grocery store to Halifax, N.S. 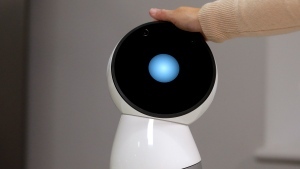 When a robot "dies," does it make you sad? For lots of people, the answer is "yes" -- and that tells us something important, and potentially worrisome, about our emotional responses to the social machines that are starting to move into our lives. Are you doing anything to mark Earth Day?